For coastal communities threatened by global warming, the challenge can be sketched with two questions: How much will the waters surge and where will the inundation be worst? More mysterious is how rising temperatures will impact people inland. Two new papers look at climate change far from the sea and project it could radically alter global politics by the middle of the century. In the first, Dimitri Defrance, a climate scientist at the Université Paris-Saclay, in France, looks at recent data on the melting of the Greenland ice sheet. Comparing these with data on the melt at the end of the last ice age, they project how the increasing flow of freshwater into the North Atlantic will negatively affect rainfall patterns in the Sahel, a vast and fertile region of Africa between the great deserts of the north and the jungles lining the Equator. They consider, too, how the Sahel’s population is expected to balloon and how the region’s staple crops — such as sorghum and millet — depend on predictable monsoons. Defrance and his colleagues conclude that tens if not hundreds of millions of Sahel residents are likely to flee droughts and famine. Many will head for cities near Africa’s coasts, but these too could be overwhelmed by rising sea levels. The combination, they conclude, would be catastrophic: Rapid melting in Greenland “is likely to lead to dramatic population shifts [in Africa] that would develop beyond borders and would entail irreversible demographic impacts.” Such a population shift, in other words, would have global political ramifications within decades. Think the Syrian refugee crisis — times 50 or 100. The result could be higher rates of malaria in areas where it was previously unknown, like the Great Lakes and central Russia; falling agricultural production in the American Midwest and northern China; and declining river runoff in Europe and sub-Saharan Africa. Parts of Canada and northern Europe could benefit, becoming breadbaskets, but these changes are likely temporary and would, the authors reason, herald worrisome demographic swings in large parts of the globe. 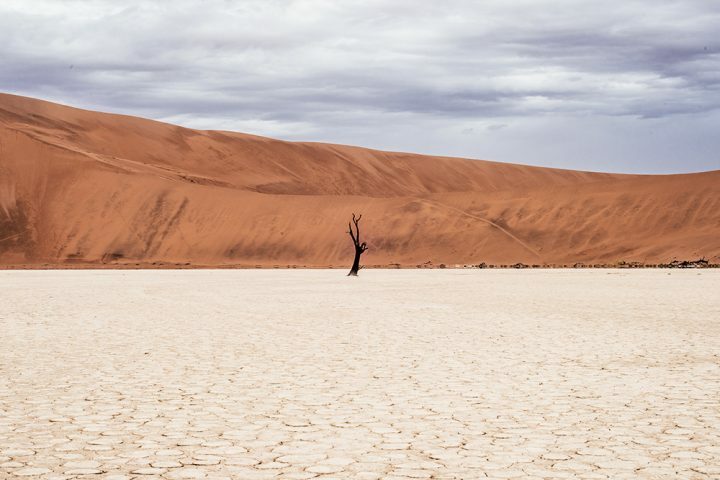 Huang and his colleagues contend that allowing global average temperatures to increase by no more than 1.5 degrees Celsius would more modestly impact drylands, keeping increases to around 3 degrees Celsius. At the very least, this would be fairer, they argue: Drylands emit far less carbon than humid regions like America’s eastern seaboard, western Europe and the Chinese coast. “Consequences of Rapid Ice Sheet Melt on the Sahelian Population Vulnerability,” in the Proceedings of the National Academy of Sciences, 2017; and “Drylands Face Potential Threat Under 2 degrees Celsius Global Warming Target,” in Nature Climate Change, 2017. We have reviewed research on where the seas are rising fastest, estimating future hurricane damage related to global warming, and increasingly deadly heatwaves. For more of our work on climate change, click here. The warming planet may be causing people to sleep less, according to this 2017 paper in Science Advances. A 2017 paper in Environmental Research Letters looks at recent record-breaking warm years and finds them not a sign that global warming is accelerating, but instead confirmation of a steady warming pattern that began in the 1970s. Keeping global warming to 1.5 degrees Celsius, rather than 2 degrees Celsius, “would perceptibly reduce the frequency of extreme heat events in Australia,” according to this 2017 paper in Nature Climate Change.